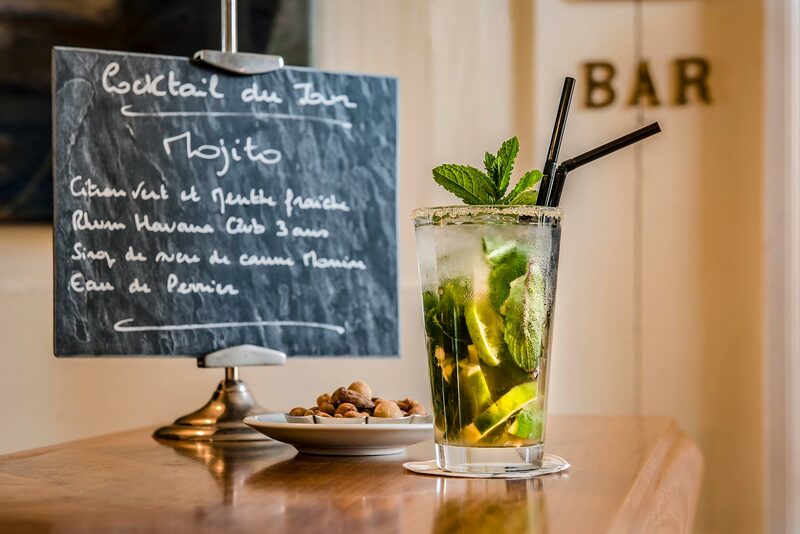 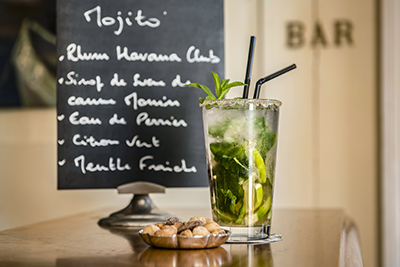 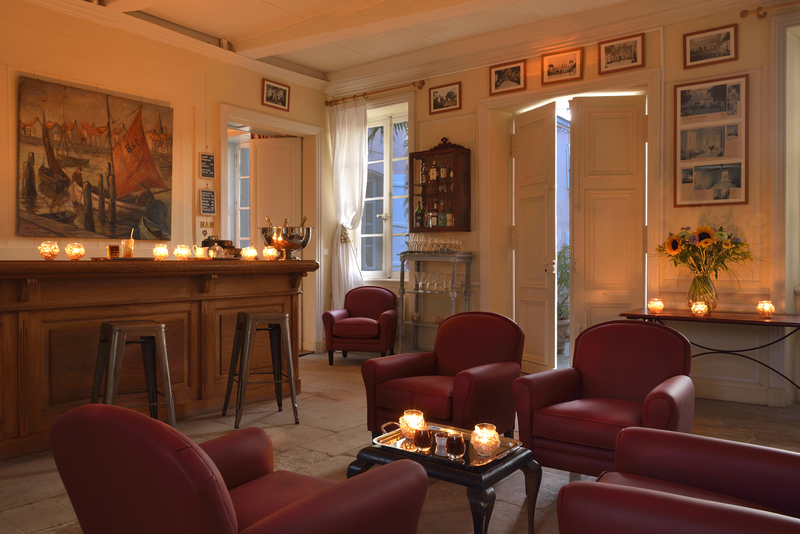 Nestled between the courtyard and garden, our friendly bar is open from 5-11pm. 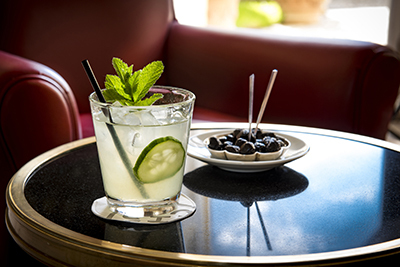 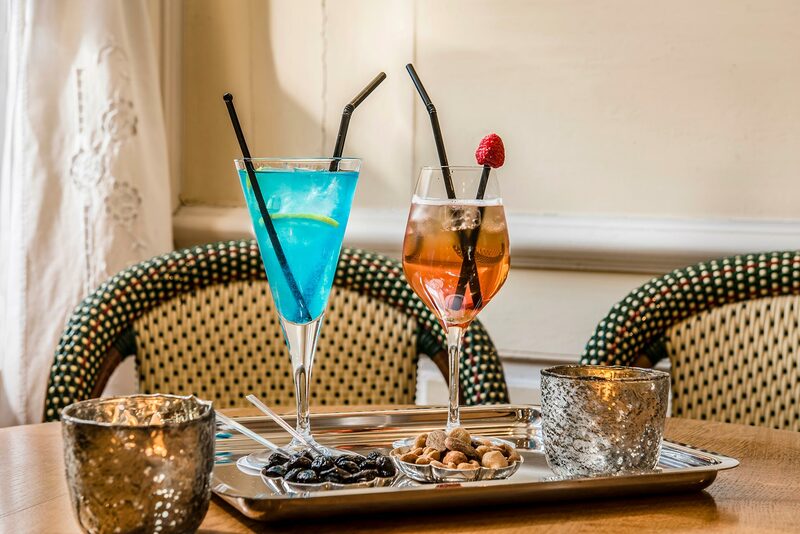 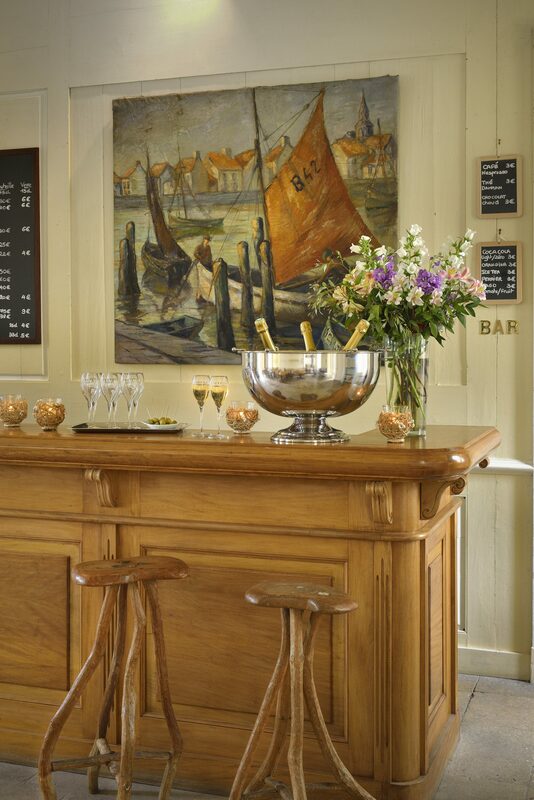 Sink into our comfy armchairs or take a seat out on the garden terrace and let our experienced bartender serve you one of our original cocktails or a tipple from our selection of wines and spirits. 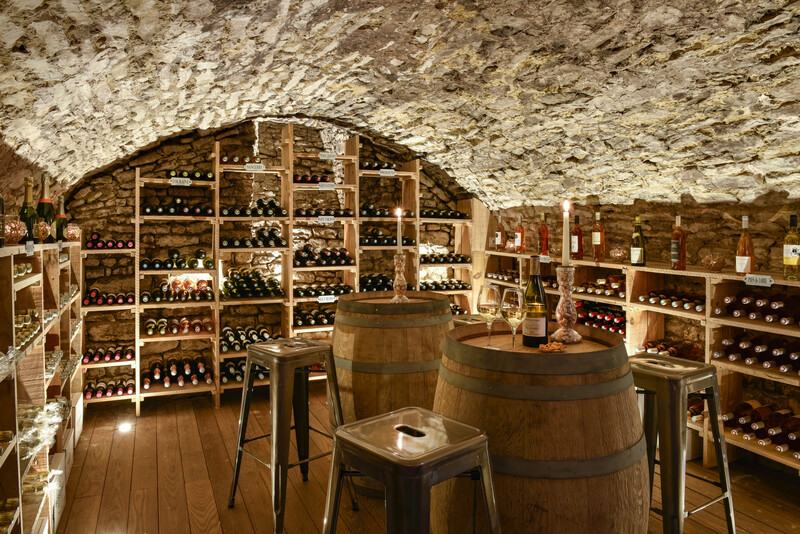 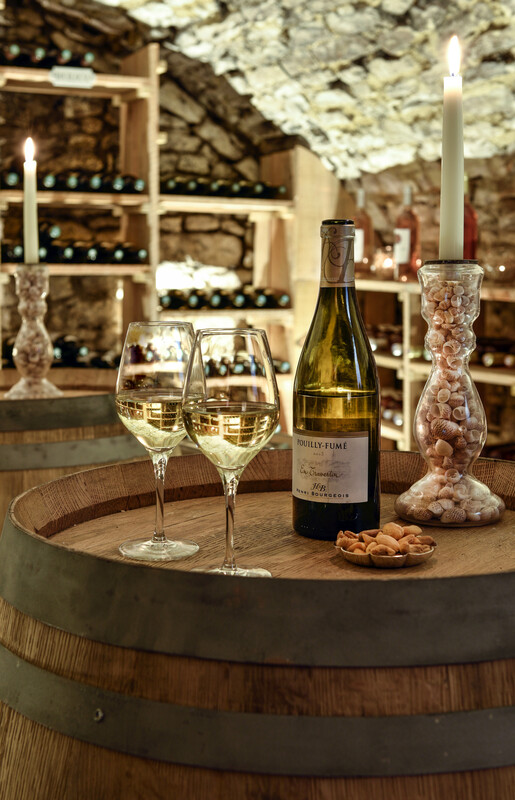 Wine and spirit tasting sessions and tours of our 13th-century wine cellar are available by appointment. 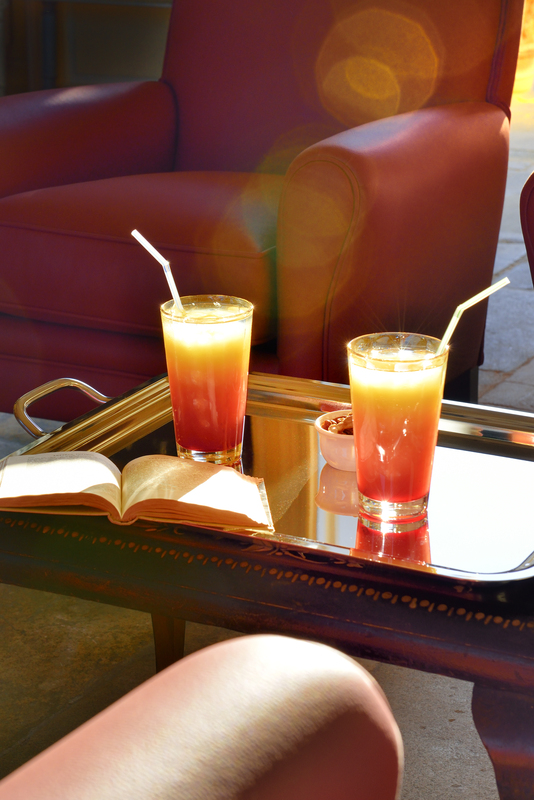 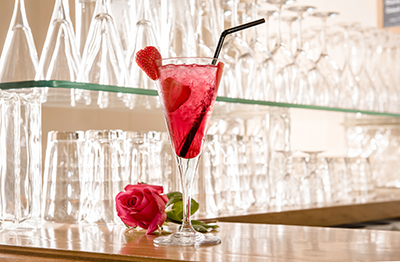 Hot and cold drinks are served all day in the hotel lounges and gardens – just ask at reception. 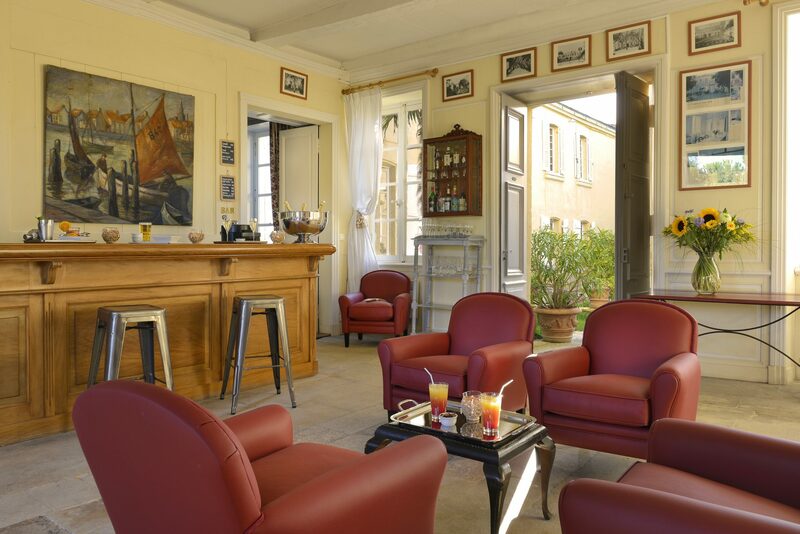 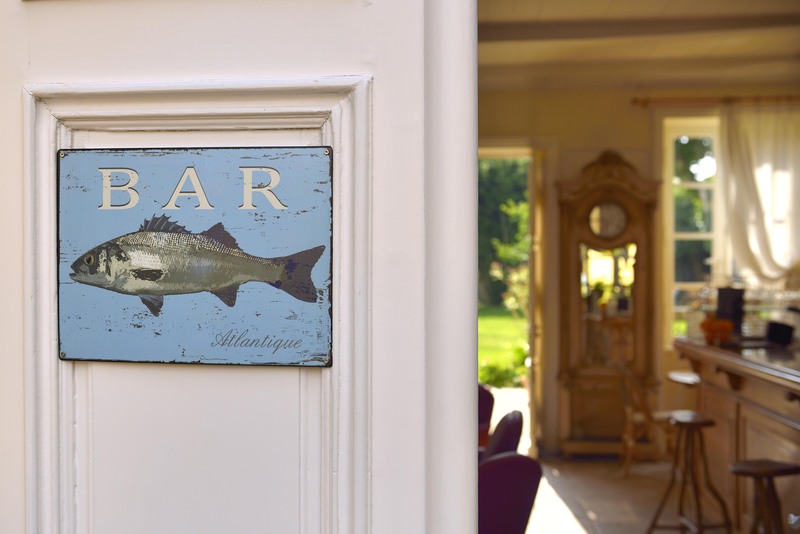 Each Room & Suite contains a minibar stocked with sodas, Ile de Ré beer, fruit juice and snacks.